Update: Blogger has disabled the old UI and there is no way now to revert to old UI. 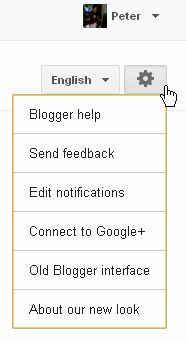 Blogger has "upgraded" its UI (User Interface) to the Blogger new UI but lots of bloggers are not happy and want to revert to the old UI. Click on it and select "Old Blogger interface" and it is done.